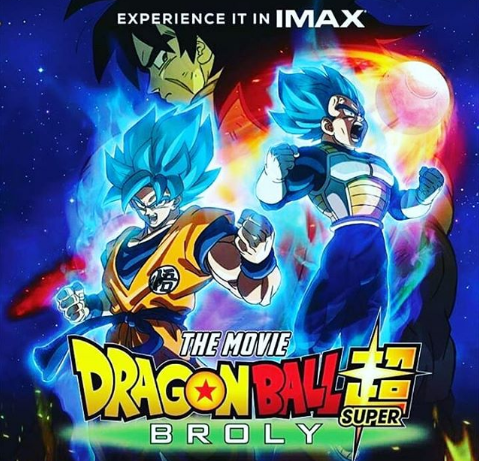 Home > : Broly > .Dragon ball Super > Anime > Dragon Ball Super: Broly’ Becomes Third Highest-Grossing Anime Film In U.S.
Dragon Ball Super: Broly’ Becomes Third Highest-Grossing Anime Film In U.S.
Dragon Ball Super: Broly came onto the scene in the U.S. just days ago and has made one hell of an impression where only have we greeted the film with rave reviews, but Son Goku has brought in some serious cash as well.After all, Dragon Ball Super: Broly just hit a record box office gross to be crowned the third highest-grossing anime film in the U.S. The film, which hit U.S. theaters on December 16, has pushed aside some heavy anime hitters to reach its title. Ponyo, Pokemon, and Yu-Gi-Oh that were all moved down the top grossing list to make way for Broly. Now, the film has earned a staggering $21.07 million at the domestic box office, and which has done so in just 1,250 theaters. Dragon Ball Super: Broly has a way to go before which could dream of taking the second spot. Pokemon: The Movie 2000 sits at number two with a domestic gross of nearly $44 million total where the number one spot goes to Pokemon: The First Movie which debuted way back in November 1999. The movie made a staggering $85.74 million at the box office with it opening at $31 million. Dragon Ball Super: Broly may not be able to topple Pokemon yet, but which has proven how much life the franchise has in it. Right now, the movie is number three at the box office underneath Glass and The Upside. Dragon Ball was able to overcome Aquaman and Spider-Man: Into the Spider-Verse with enough clearance to make fans double take. So, when it comes to profit, Goku knows how to turn the numbers in his favor.